Some concrete, low-cost steps for SMEs and other companies to meet employee needs in the area of health benefits. 2018, what a year it was. Uber merged with Grab, Trump and Kim had their historical meeting on our sunny island and we found out not all asians are actually crazy rich. But as we took some time to pause and reflect (before we repeat) here at Mednefits, we have actually accomplished quite a bit! From product updates to new teammates to events and M.A.D (Mednefits Active Day) outings - check out our favourite moments from each month of 2018! We kicked off 2018 with the ‘Employer-Provided Healthcare Platform’ strategised and planned in mind. Hadi was on a mission together the interns to train all our health partners on the new product. Huei Min joined the team, our longest 8 months internship programme. Launched Member Benefits Wallet & Company In-Network Spending Account. First Mednefits Credits transaction was on Valentine’s Day, 14 February. Launched Out-of-Network digital claim portal. We were honoured to be featured by MCI Singapore in their #SMETowkay column on “Making Affordable Healthcare for SMEs a reality”. Got our own mini barista coffee machine for the Mednefits Team. Partnered with the first co-wellness space in Singapore, Core Collective. Chris shared his experience and journey as an entrepreneur at Health Tech Day in SMU. We shared how employers and HRs can redesign corporate healthcare experience with technology at our first event and conference of the year with HRD HR Tech Summit. Our PH dev team had their team bonding adventure day out in the wild. Michael, Lucky, Jialing, and Desmond joined the sales team. The founders went to KL Malaysia for market research and managed to gather interest from some health partners there. Partnership with Enterprise Singapore - HR Tech Pilot Programme in promoting the use of data and technology for better human resource decision making. Mednefits is one of the appointed service provider for Compensation & Benefits. Launched Company and Member product experience videos. HRM Asia HR Summit - we powered up from being in the start-up zone in 2017 to having our very own booth. We created our Product Brochure 2.0, and it doesn’t look like your typical brochure. We were glad to extend our benefits programme to the self-employed agents in ERA Singapore. We filmed in-house three creative videos to showcase how we imagine accessing corporate healthcare would be like in the future compared to the past - we will be launching them this year so stay tuned! 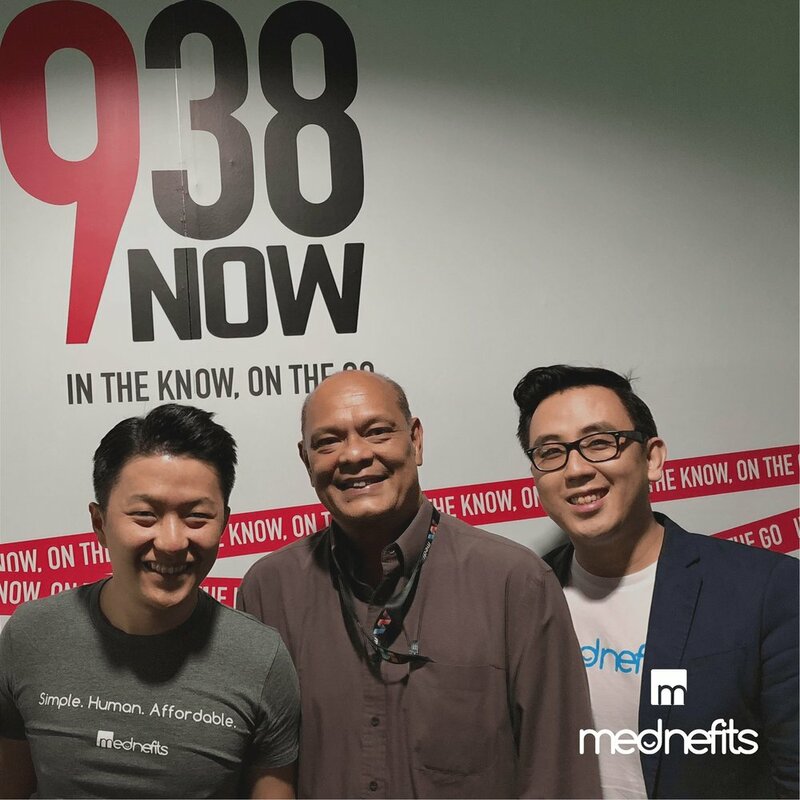 Our first radio interview with 938NOW Keith de Souza - much jitters for Chris and Hadi initially but what an experience! Wei Xian joined the team. We featured our largest exhibitor’s booth and growing team at the largest SME Expo in Singapore hosted by SCCCI. Kang Wee, Ruiqin, Sarah and Celestine joined the team. Chris shared about the problems with the current employee health benefits landscape and shared how HRs and employers can take a proactive role in the Employer-Provided Healthcare Economy at the HR Business Partners Forum organised by SHRI. 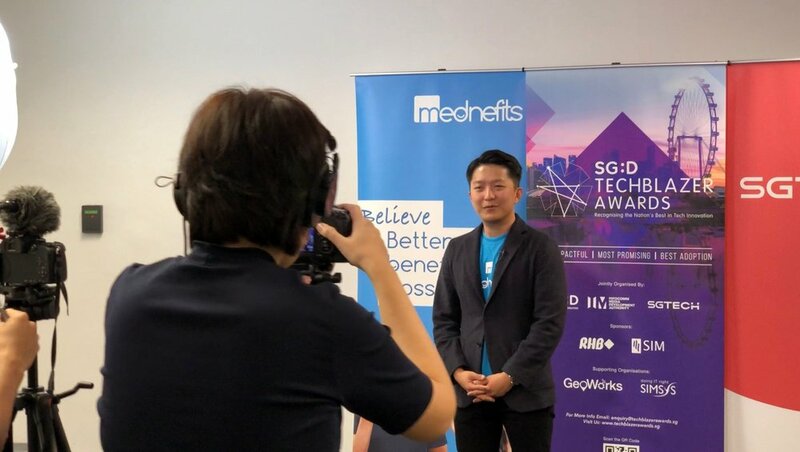 Shortlisted as a Most Promising Category Finalist (Mednefits Care Plan) at SG:D Techblazer Awards. Launched Member Wellness Wallet and Company Wellness Spending Account. Launched our Mednefits Care Plan (Lite Version). 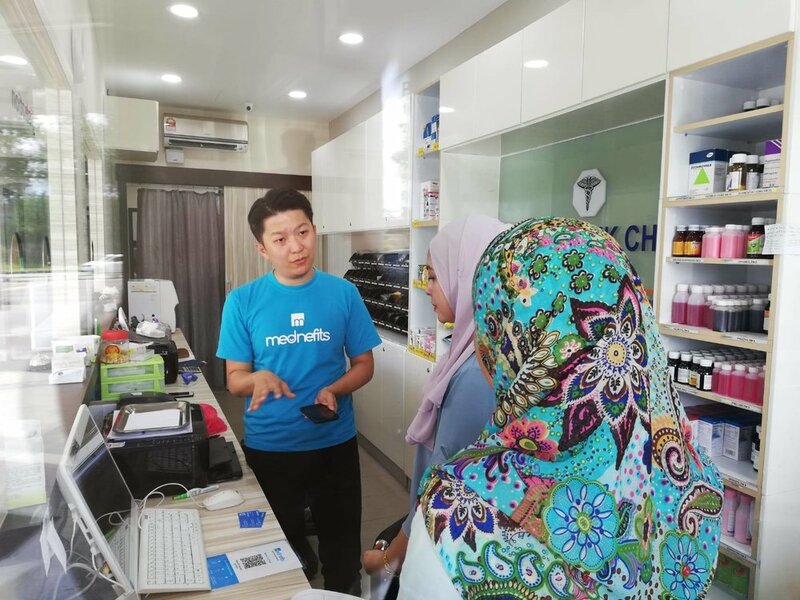 Expanded our clinic network across Singapore borders to Johor Bahru and Kuala Lumpur - we now have 40+ clinics in Malaysia! Hadi had his first ever live interview at Disruptive LIVE @ Cloud Expo Asia Singapore. 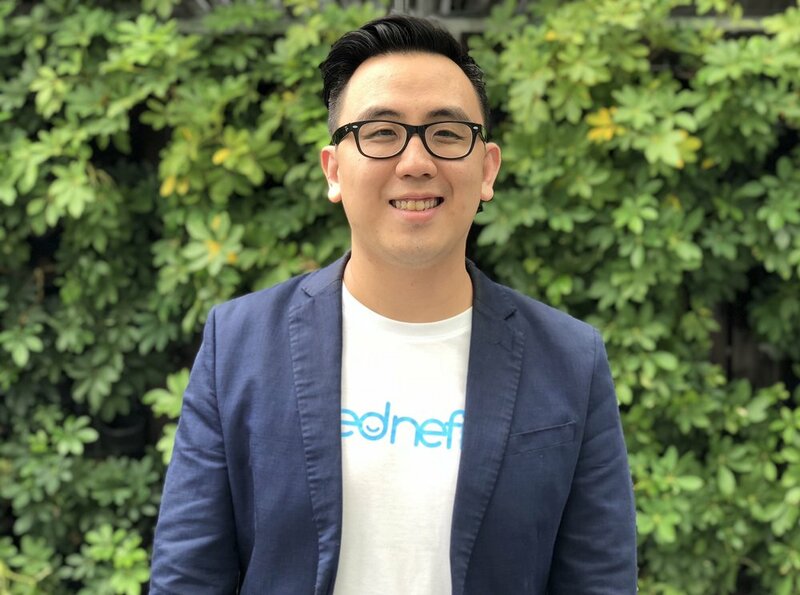 Dr Kevin Chua joins the Mednefits family as our Medical Advisor. Featured by Asia Insurance Review for grouping SMEs together to provide affordable employee health benefits. Went M.A.D together on the rock climbing wall for our inaugural Mednefits Active Day. Alexandre and Wan Wen joined the team. Had our first ever Christmas Photoshoot to send our holiday greetings to our members. Rest & Recharge during our year-end retreat at Johor Bahru - amazing food, much-needed head-to-toe massage and last but not least our M.A.D activity: Go-Kart! Connect with us on our social channels and stay up-to-date on all latest happenings! The two-day event was a huge success for us this year. We had a fruitful time meeting SME business owners, fellow esteemed exhibitors and sharing how we can provide better benefits for employees while helping employers take control and maximise their benefits investment. This is our second time at the event and we are happy to see a bigger team and our largest event booth thus far. Our booth this year - check out our growing team! 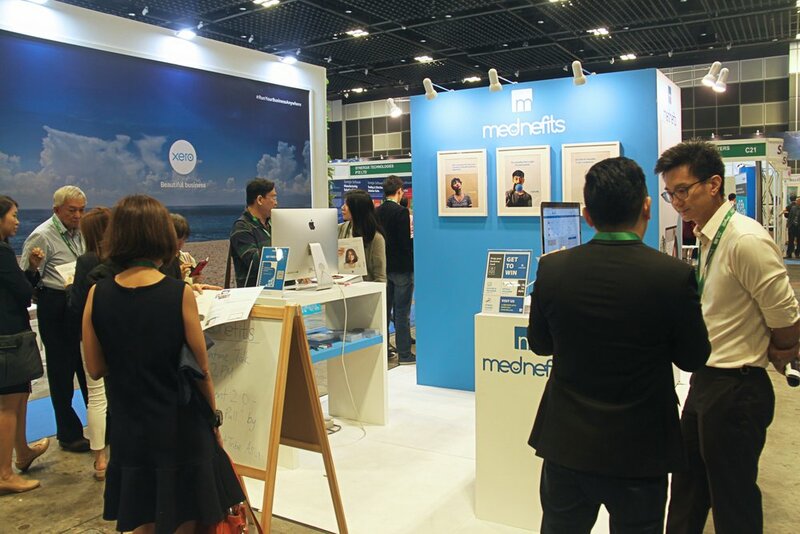 Attendees who dropped by our booth got a taste of our digitised, real-time, automated workflow as we took them through the employer and employee experience of using the Mednefits app and platform. This year, our co-founders Chris and Hadi also had the opportunity to share what motivates Mednefits to redesign the corporate healthcare experience and how employers can better attract and retain talent by creating a consumer-style benefits experience for their employees. All in all, it was an amazing event for us and we are tremendously proud to see the growth of Mednefits and the team. We are also thankful to our partners and friends for their dropping by our booth and for their unwavering support. We look forward to be back again next year! SMEICC 2018 is Singapore's annual bilingual SME business conference organised by the Singapore Chinese Chamber of Commerce & Industry, offering insights from local and global business and market leaders on conquering challenges and building successful businesses. It was held on 15 and 16 August 2018 at the Suntec Singapore Convention & Exhibition Centre, bringing together close to 6000 attendees and industry partners. Want to lower cost and provide better benefits for your employees? Download our E-Book - Redesigning the Corporate Healthcare Experience for insights to providing better benefits for your employees. Current corporate health benefits programmes, he said, are limited by older systems that were not designed to share data, work together or learn from one another. This makes the experience frustrating and user- unfriendly to the company’s benefits administrator and employees. The technopreneur also noted that the ‘game has changed’ in employee benefits – the new generation of employees entering the work force has a new definition of health, which is a ‘state of complete physical, mental and social well-being’. In view of this, he briefly touched on Mednefits’ current offering of an outpatient medical coverage plan – incorporated with a workforce management system – that includes a pilot customisable workplace health and wellness programme targeted at both physical and mental well-being. The article was originally published in Asia Insurance Review Magazine, Insurance - Life & Health September 2018.